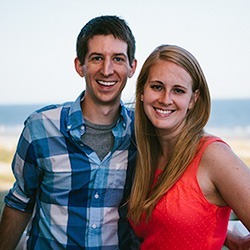 The Good / The slick, professionally executed videos and marketing gimmicks. The Bad / The CEO is fake, the testimonials are made up, and the 'bot' only serves to generate brokerage signups and deposits. My Recommendation / Spend your $250 on stock trading tutorials and courses which will actually help you become a savvy trader. If stock trading isn't your thing, check out our #1 recommendation on how to build a home based business instead. “You’re not allowed to use the AppleBot- yet,” quips APL Mobile Bot CEO Gunnar Eriksson at the start of the slick AppleBot sales video. Once he’s grabbed your attention by using the classic marketing ploy of exclusivity, Gunnar mentions how he made $26 million over the last 5 years on Apple stock. 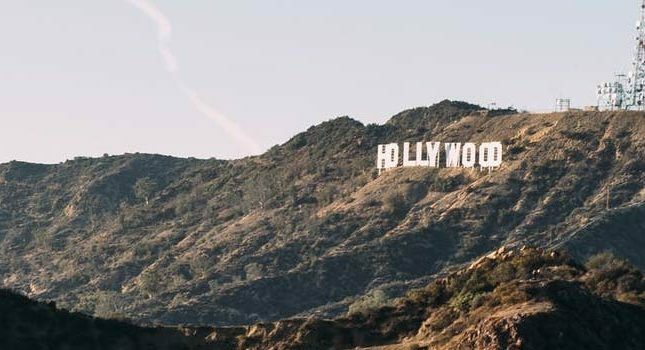 Whether or not this successful investor and APL Mobile Bot CEO actually exists in real life is anyone’s guess- a Google search on his name turns up several different candidates ranging from musicians to computer programmers to salesmen. But there is no evidence of an Apple Stock Robot CEO, whether on LinkedIn or Hoovers. What exactly is the Apple Stock Approach? For the 15 seconds that Gunnar can be bothered to explain, it has something to do with the up trend of Apple’s stock price over the past five years. But that’s about all you hear of this amazing approach to making millions of dollars. Incidentally, Gunnar also makes quick mention of how he is an ‘in the know’ stock trader “with an insider source in both the development center and their press release center!” This inside information is how he has made millions on his Apple shares. What Gunnar has just admitted to is, in essence, insider trading. And insider trading lands you in jail. What is AppleBot, or APL Mobile Bot, AppmobileBot, or Apple Stock Robot? The AppleBot software goes by so many different trade names that it’s hard to keep track. As you may have already inferred, it’s yet another binary options auto-trader; however, this more exclusive robot only trades Apple stock. Incidentally, Gunnar appears all over the place in the videos and images, just so you don’t forget that he is the CEO of this operation. 1. You must make a $250 deposit into your trader’s account. This will cause a red AppleBot button to appear in the top right of the screen. 2. You must click on the AppleBot button to change it to green, which means it is now turned on and trading for you. Why is this binary options bot being offered? Apparently, brokerage firms no longer wish to work with Gunnar because they must pay him every time he wins one of his calls or puts. Because Gunnar wins quite often, his winning streak is hurting the bottom lines of his brokers. Also, even though I could not locate any mention of a trader going by the name of Gunnar Eriksson, it seems that all brokerage firms know of this guy and refuse to do any new business with him. Also, Gunnar has reached his maximum balance limits with all his binary options accounts (so why not just transfer the funds to a bank account?). As a result of these issues, Gunnar’s new plan is to give away his software to other traders and ask them for a percentage of their profits in return. You would think that such world-class software would command at least a 30% commission (or even higher). However, Gunnar won’t be asking 30%, 20%, or even 5%. All he wants is a whopping…1%. This 1% is to be delivered via Paypal or credit card every 30 days, after Gunnar sends you an invoice to your email account. Otherwise, he will magically reach into your brokerage account and turn off the AppleBot. What’s the real deal with AppleBot? First of all, here’s the “recommended broker” that you reach after inputting your invitation key. It looks like the brokerage is Bloombex Options. 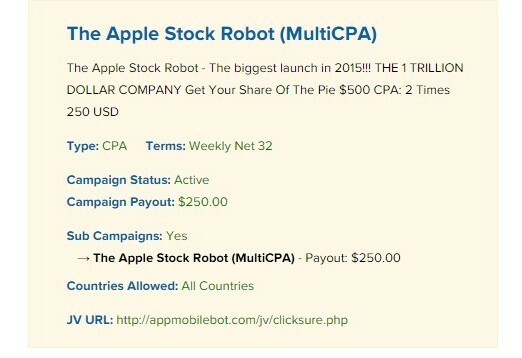 As suspected, the AppleBot software has a sizable affiliate commission associated with it. But it gets even better. 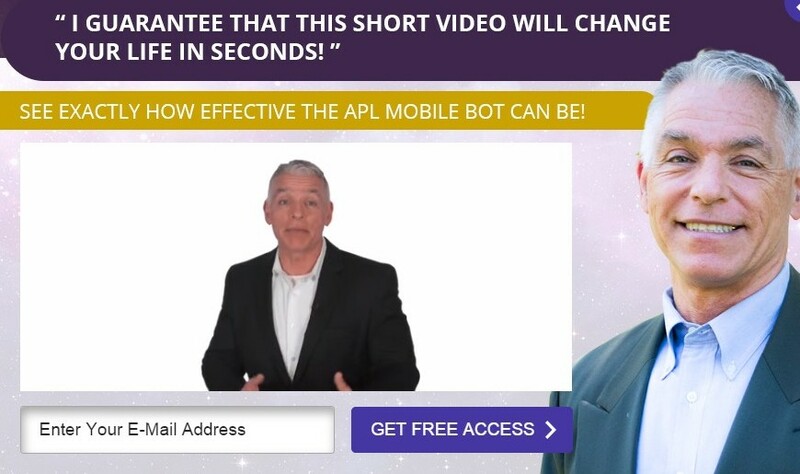 When you click on the provided JV URL, you see marketing videos that advertize the benefits of becoming an AppleBot affiliate, complete with the bot creators explaining exactly which marketing tactics are going to be used (e.g., scarcity model, upsells). These marketing videos all feature the same slick videography that was used for signing up potential traders. 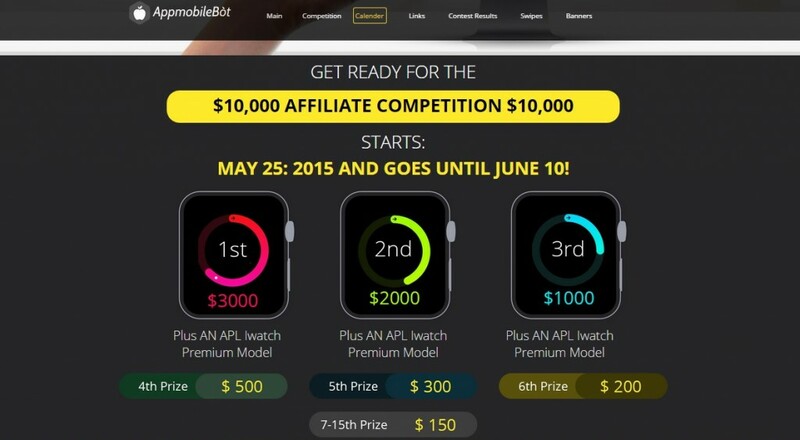 Affiliates even get to participate in a contest with prizes. Let’s face reality: If the AppleBot software truly made its advertized 2300% over initial investment, there would be traders literally fighting each other to get their hands on this amazing software. There would be no need for an affiliate program, commissions or prizes. The product would sell itself. The fact that there is a huge push to recruit affiliates, the fact that Gunnar Eriksson has no online profile anywhere, and the fact that the business world has not heard about him, all point to this bot being a scam. 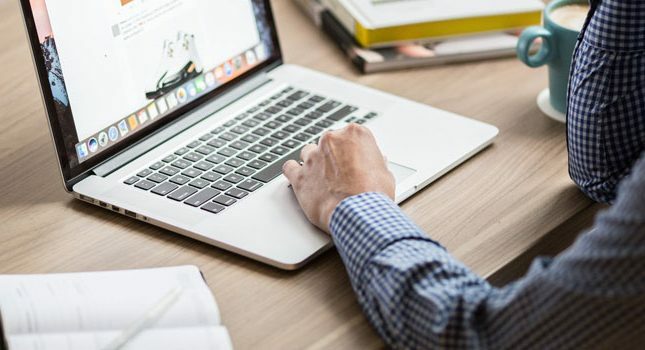 Consequently, you are better off investing your money elsewhere, or devoting your efforts to a business opportunity that is actually operated by real people. thanks….you saved me from grief. Argh! Sorry to hear that, Riaan. Thanks for letting us know about this scam.